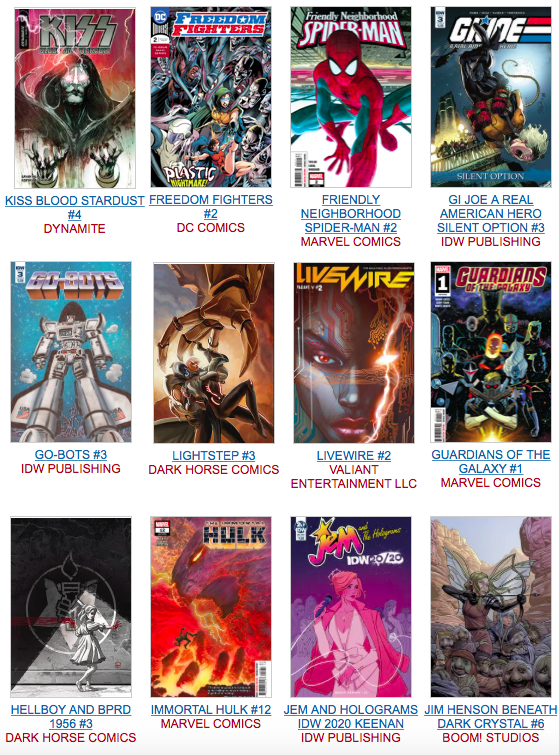 Perhaps in an attempt to appeal to older collectors, Marvel made the # 1 abnormally large on GOTG #1. 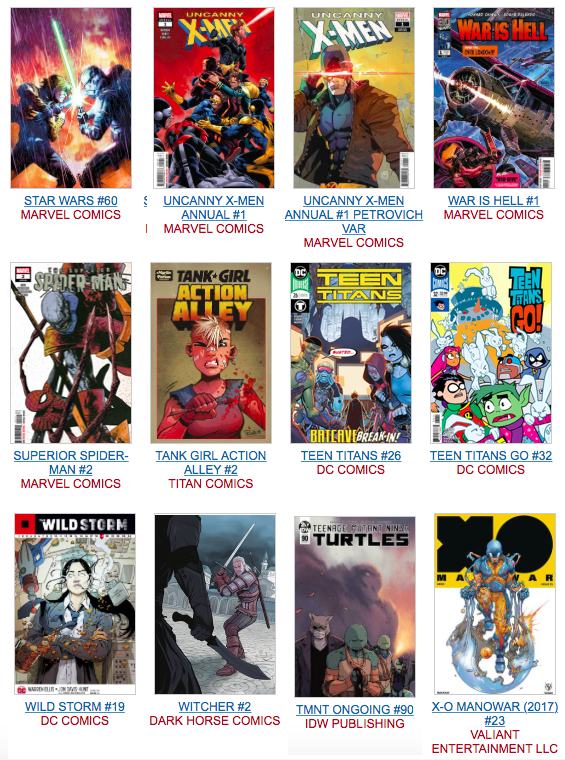 The rest of their numbers are normally small on Immortal Hulk, Man without Fear, Moon Girl, Superior Spider-Man, and Uncanny X-Men Annual. 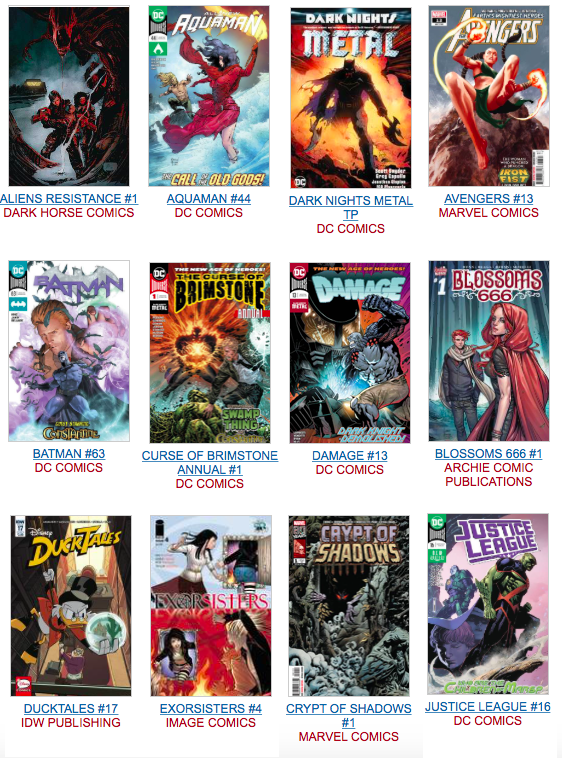 DC presents Aquaman, Batman, Damage, Freedom Fighters, Justice League, Sideways, Shazam #2, Teen Titans, and a new character called Naomi (#1). 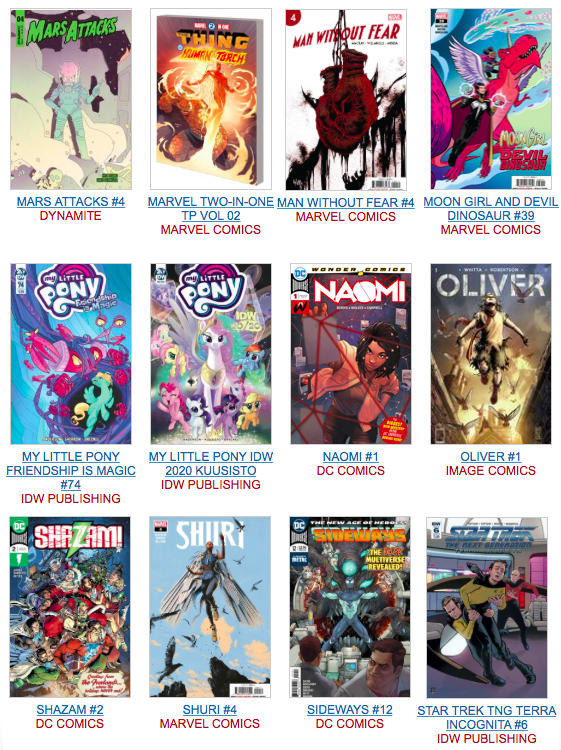 The rest of the universe contains Aliens Resistance #1, Blossoms 666 #1, Monstress, My Little Pony, NBX Zero’s Journey, TMNT, Wild Storm and X-O Manowar. Of course, the complete list is much longer – Check it out below. Sign in here to get an email reminder for ALL sales and other events. Also, you can go to fb.fantasybooksandgames.com and you’ll be taken to our Facebook page. We do expect to use the Rewards system to make similar announcements, but it pays to be covered, right? GUARDIANS OF THE GALAXY #1 PAREL VAR (1/25) $ ??? GUARDIANS OF THE GALAXY #1 RIBIC VAR (1/50) $ ??? GUARDIANS OF THE GALAXY #1 SKROCE VAR (1/10) $ ??? MY LITTLE PONY FRIENDSHIP IS MAGIC #74 SOUVANNY VAR (1/10) $ ??? MY LITTLE PONY IDW 2020 FLEECS VAR (1/10) $ ??? WHITE WIDOW #1 MAIN CVR $ ?? ?